Assuming you know what an Echinoderm is, we're now going to explore some of the most remarkable and deviant members of the group! Are you excited? I'm excited! This guy would possibly be excited; without his blog, half of this page wouldn't have been possible! 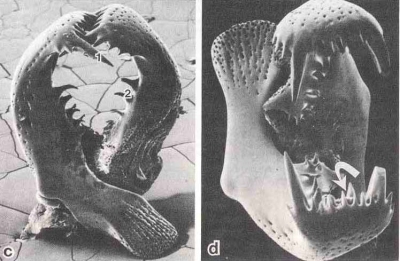 While most of the Holothurians are content to lie in the muck and eat anything within reach, the beautiful abyssal genus Enypniastes are among the few cucumber to have adapted full-fledged swimming. 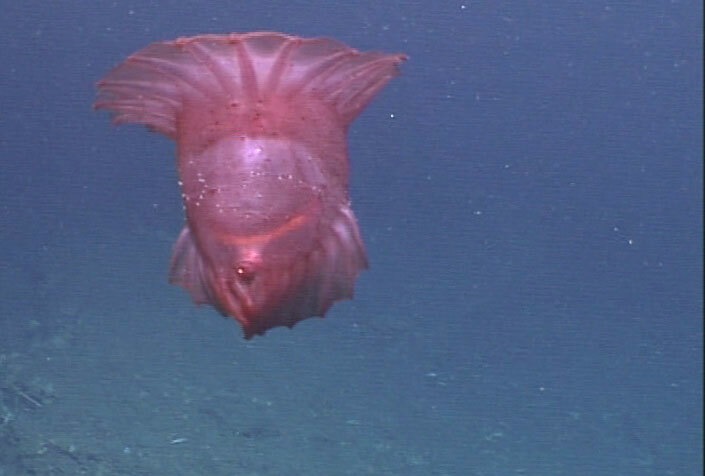 Like many deep sea invertebrates, the body is transparent and red tinged, a difficult combination for local predators to distinguish from the surrounding water. If attacked, however, the tricky cuke can light up its outer layer of skin and discard it, leaving the enemy to tangle with an empty decoy like a mugger and a knockoff watch. Looking like a throwback to the Cambrian era - or perhaps some sort of Metroid enemy - these scaly, dome-shaped animals are actually a variety of sea urchin, sometimes called a "helmet" or "shingle" urchin. Most of their spines are flattened into scaly tiles over their upper surface, with a ring of more paddle-shaped spines around its base. This sturdy arrangement allows the sluggish algae-eater to withstand the roughest waters of the Hawaiian islands, clinging to wave-battered rocks where softer creatures would be pulverized. With a latin name meaning "horrible skinned urchin," the deep-sea Cactus urchin is the only urchin with a height three times its width, the purpose of which is not entirely known. 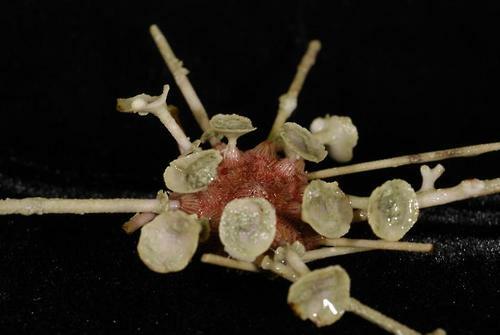 It has been theorized that Dermechinus may be the first known "suspension feeding" urchin, meaning that it stands tall in the water to trap plankton on its velcro-like body. 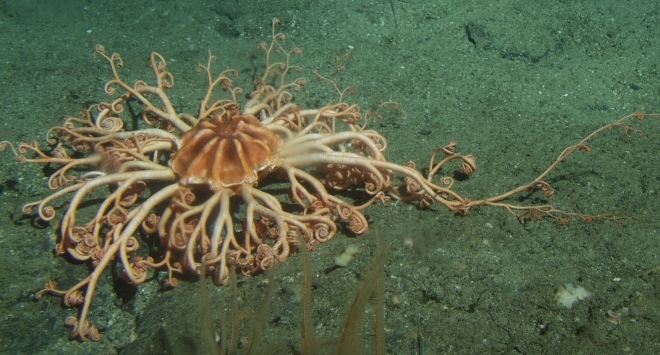 Many brittle stars and especially the crinoids feed in this manner, and the fuzzy secondary spines of horridus seem perfect for trapping small particles and ferrying them to the mouth. Aptly referred to as a "parasol" urchin, this odd looking creature is one of the Cidaroids or "pencil" urchins, an extremely basal group lacking the soft, live outer skin of more derivative sea urchins. 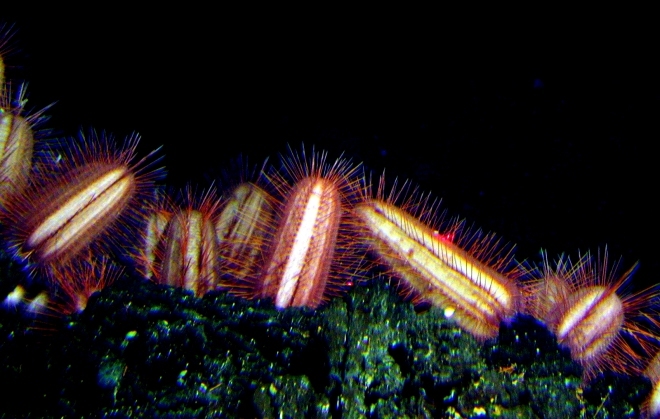 Quickly colonized by tiny sponges, moss animals and other hitch-hikers, these arctic dwellers eventually become living, mobile gardens of marine life, and unlike most other urchins, they have a bit of a parental side. 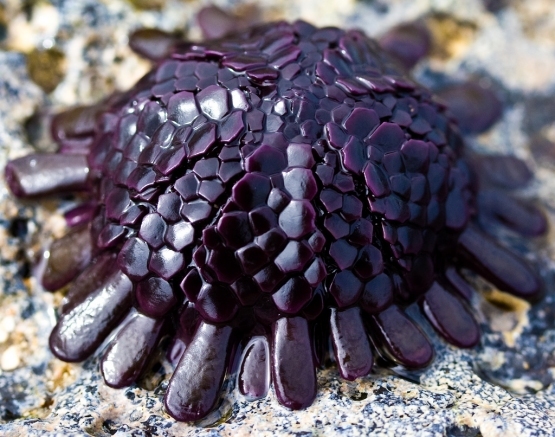 The "parasol" shaped spines actually serve as a protective home for the urchin's tiny offspring, who will live among mom's symbiotes until they outgrow the tiny habitat. 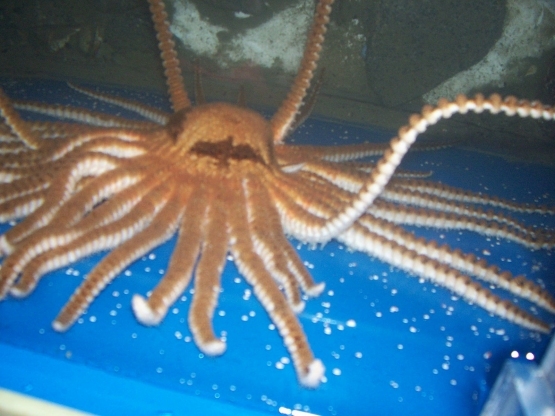 Many sea stars possess these weapons; some are thicker and more clamp-like, some more tong-like. They usually serve a defensive purpose, but one look at Labidiaster's epidermal torture devices, and you know these are implements of offense. To tiny prey, this snake-armed star is like living flypaper. Behold, one of the world's most perfectly ball-shaped animals, and it's not even some sort of naked urchin, but a globular sea star! Why? We don't know. 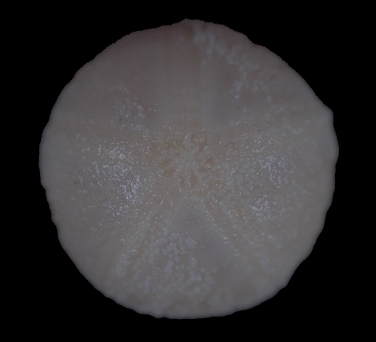 It's found buried in sediments near sea sponges. 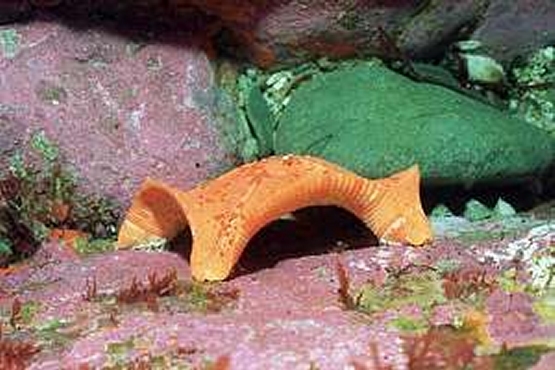 Why near sea sponges? We don't know. There isn't a whole lot else to say, except that a perfectly ball-shaped, nearly featureless animal is fairly rare anywhere in nature, let alone when we're dealing with animals that normally have a bunch of arms. If this were a top ten list of the most ball-shaped animals, Podosphaeraster would have to be disqualified for unfair advantage. 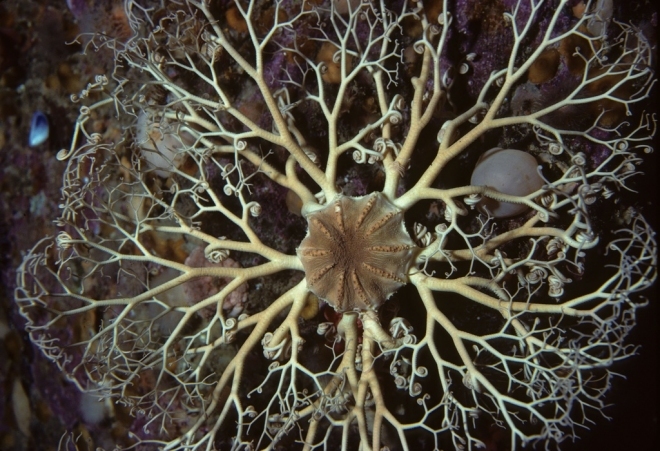 Literally named "gorgon heads," these deepwater predators - more commonly called "basket stars" - may have hundreds of repeatedly branching arms, all of them lined with wicked little barbs. Spread out like a net in the water's current, their thorns ensnare the jointed bodies of crustaceans and pass them to the mouth. Think of it as a blind, brainless, thousand-legged spider that's also its own web. Also, the web is made out of barbed wire. I love you, evolution. 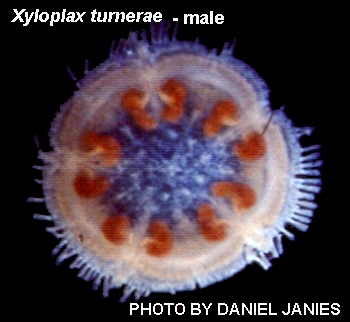 Even more mysterious than the sphere guy, the tiny Xyloplax or "sea daisies" have such unconventional anatomy that they were originally placed in their own distinct group, but are currently considered closest to the Asteroidea. With a single ring of tube-feet and an extremely rudimentary or even absent gut, it is completely unknown how these creatures reproduce, develop or feed, but they appear to be found exclusively on pieces of decaying wood that drift down to the abyss. You might think that evolving to eat wood is the dumbest possible move for a deep-sea organism, but don't underestimate just how much of the stuff washes into the sea on a daily basis; thousands of marine organisms feed exclusively on "wood falls." 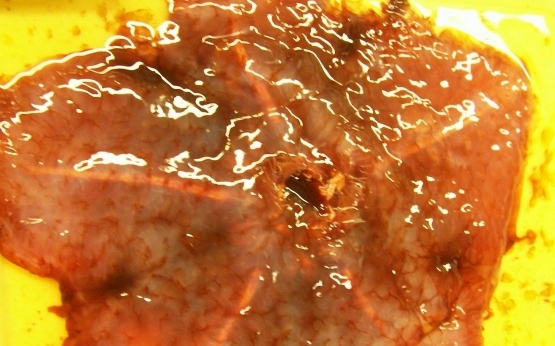 One of the most elusive echinoderms known to science, this incredibly strange sea cucumber hasn't been observed since the late 1800's, when it was named, sketched and monographed by John E. Miller and David L. Pawson. 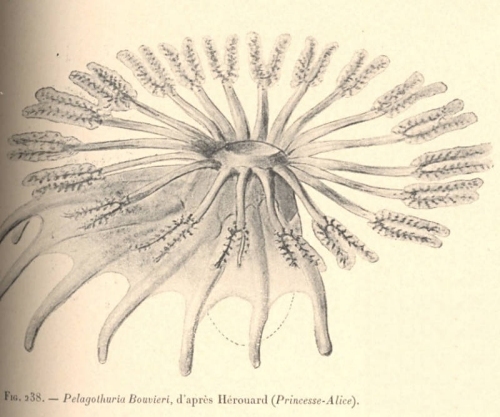 According to their report, the animal behaved like a jellyfish, never touching the sea floor, but constantly swimming with its enormous web of tentacles. Its mouth, aimed upward, was ringed with shorter feeding appendages, and seemed to pluck bits of detritus from the surrounding water. Will we ever see these beautiful animals in action? For all we know, they could have disappeared from our planet over the past century of global pollution, climate change and the far-reaching consequences of overfishing. Utterly unlike any other living crinoids, the mysterious Holopodidae are primarily found hanging upside-down from rocky ledges in the deep ocean, their thick tentacles splayed out like a scaly, ghostly hand. What they feed upon is not entirely known, but their ability to close up into a tough, tight "fist" suggests a strong possibility that they feed on something more than drifting particles, perhaps clenching shut over copepods or other active prey. This would make them similar in many respects to deep-sea predatory tunicates, fly-trap anemones and other sessile carnivores who have evolved more aggressive mechanisms in the abyssal reaches. Blind, flesh-eating hands, dangling like a colony of underwater bats. 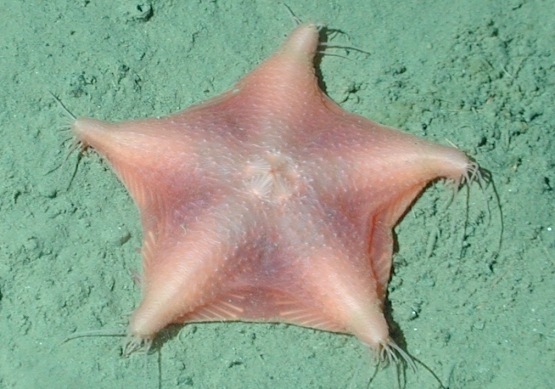 This unassuming little star is, in reality, one of the most insidiously deadly creatures you may read about all day. If you think it looks remarkably like some sort of little circus tent or underwater igloo, you're not far off the mark; standing upright on its little tippy-toes, it waits patiently for creatures such as shrimp, snails or even small fish to seek shelter beneath it, at which point it snaps shut its five "doorways." Sealed in a five-pointed tomb, the helpless prey is soon surrounded by the monster's stomach and digested completely over the course of a few days. It's the underwater equivalent of a Mimic or Trapper from Dungeons and Dragons. It's a meat-eating fish gazebo. By posing as a safe refuge, it outsmarts not only its prey, but the faster, more agile predators they were hiding from to begin with. It is an animal that sustains itself on irony, and it is but a mere starfish.